Summer is beginning to wind down and as we transition into autumn, it’s time to wander in from conjuring spells in the garden and hunker down with a new book. 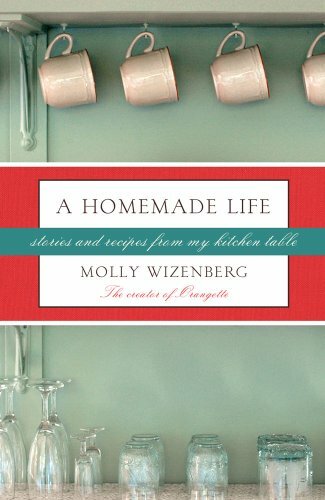 For our current Cook the Books pick, I have selected the foodie memoir / cookbook, A Homemade Life: Stories and Recipes From My Kitchen Table by Molly Wizenberg. Molly is the creator of the popular blog Orangette and a frequent contributor to Bon Appétit magazine. After her father’s death from cancer, getting back to her studies and life in Seattle didn’t feel right for grad student Molly, instead she headed for Paris, ostensibly to do research on her dissertation, but there she found herself following her heart and her stomach and turning instead to a life of food and food writing. A Homemade Life takes us into Molly’s kitchen with the skillful combining of her reflections and recollections along with delicious recipes inspired by them–making it an excellent fit for our virtual foodie book club. With the book, her blog, and her magazine work, everyone should find plenty of inspiration to cook along with Molly. And guess what?!? Even though she is in the thick of writing her second book, Molly Wizenberg has graciously agreed to be our judge for this Cook the Books round and she is very excited to see what delectable dishes her book inspires. Everyone is welcome to join in the fun–just read A Homemade Life and make a dish or meal inspired by it. Write a post featuring your dish and your thoughts about the book before the deadline of Monday, September 26th. Please leave a comment below to let me know that your post is up and/or send me an email at: debinhawaii@gmail.com. And of course, feel free to leave your comments about the book as you are reading it, anytime. “First off, I want to thank this round’s host Rachel of The Crispy Cook for having me as your guest judge for the Garden Spells entries. This really is an honor to get to be a part of such a fantastic club, especially for a book as entertaining as this one. I absolutely adore Sarah Addison Allen’s writing and love the emphasis she places on food. After reading all these wonderful entries, all I can really say is wow. The dedication and enthusiasm exhibited by each person really shows and made making my decision that much harder. 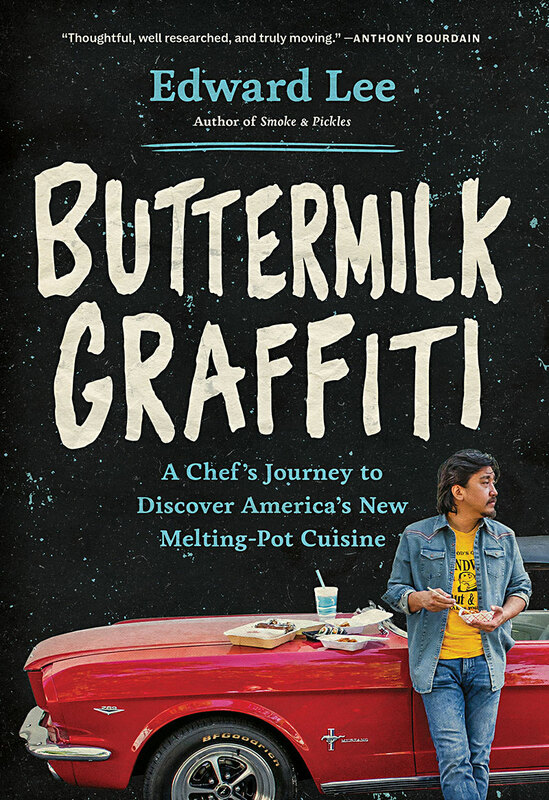 Plus, reading about all these delicious dishes definitely stirred my appetite. After multiple re-readings of each post and careful deliberation I finally chose a winner. Congratulations to Heather of Girlichef for creating a colorful Fruit and Grains Salad with Edible Flowers and Strawberry Vinaigrette. The pictures of this salad were lovely and really caught my eye first. I loved that the colors represented the novel by reflecting the cover of the book with all the reds, blues, and leafy greens. What kept my attention was the writing. I thought Heather did an excellent job replicating the magical and whimsical tone of Allen’s writing with her food descriptions. This was a solid entry all around and a great idea for a fun summer salad. There are also two entries that I would like to spotlight with honorable mentions. The Lemon Verbena Crème Brûlée by Deb of Kahakai Kitchen looked quite scrumptious, and I loved her description of Garden Spells as “a fairy tale for foodies.” What an awesome and accurate statement. Also, I thought the Lemon Lavender Bread by Maria from A Platter of Figs was a great interpretation of one of Claire’s signature dishes. Her love and enthusiasm for the book (she’s read it six times!) really shows in the wonderful pictures of the moist bread. Congratulations to Girlichef for her winning post and to Deb at Kahakai Kitchen and Maria of A Platter of Figs for honorable entries. I will now turn things over to Deb, who will be coordinating the next round when we read Molly Wizenberg’s “A Homemade Life”.